While browsing the interwebs today, I came across this super cute purse! Oh, and it's got a cupcake on it! By Your Side sells this purse on ETSY. 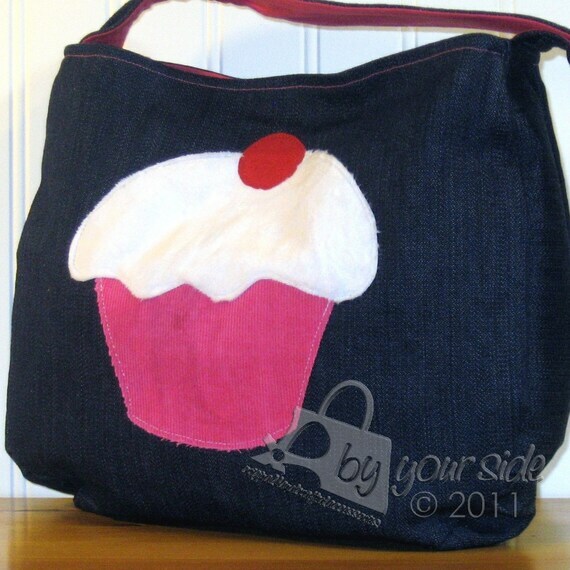 You can find it and lots of other cute purses from them.... unfortunately though, this was the only cupcake one I saw.